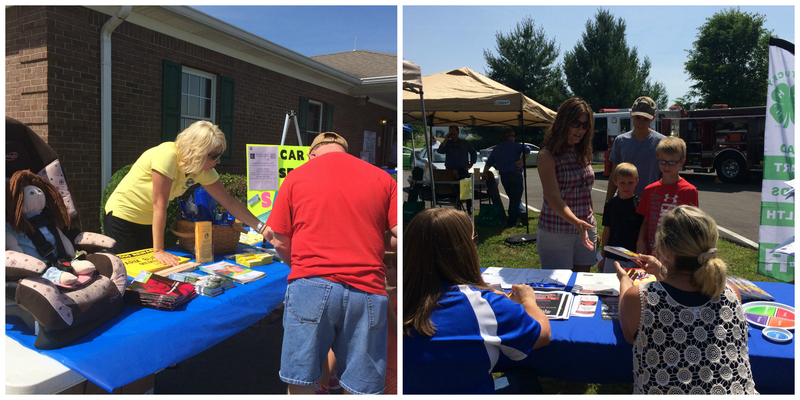 Mercer County Farm Bureau Federation held a Customer/Merchant/Member Appreciation Day on June 5, 2015. We had over 250 customers visit our 16 vendors (including local and state discount merchants). Our customers were able to talk to the vendors and find out what each one could offer them by being a member of Mercer County Farm Bureau. We grilled out hamburgers from the beef that we purchased from the Youth Investment Sale. 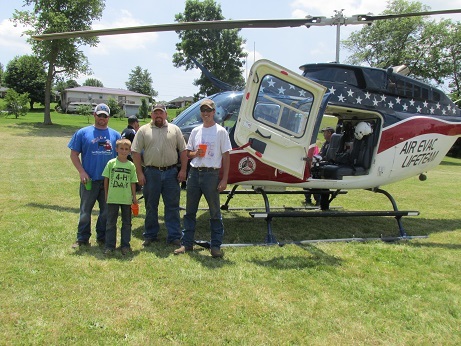 The highlight of the event was the helicopter from the Air Evac Lifeteam. Everyone enjoyed the two hours the helicopter was at our office. The pilot, paramedic, nurse and the sales representative explained why this was an important service to have in our farming community. We also promoted our Child Passenger Seat Inspection Program that Mercer County Farm Bureau is now offering as a service. Through this program, we are inspecting child car seats to assure parents that their child’s set is installed properly and fits the child correctly in order to avoid or lessen possible injuries. We have a local certified CSR, Jesseca Huffman, who inspects by appointment. 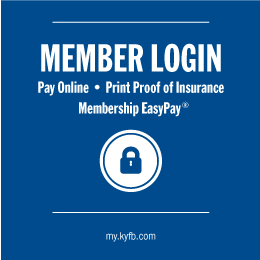 We feel that this is a great service to our community.